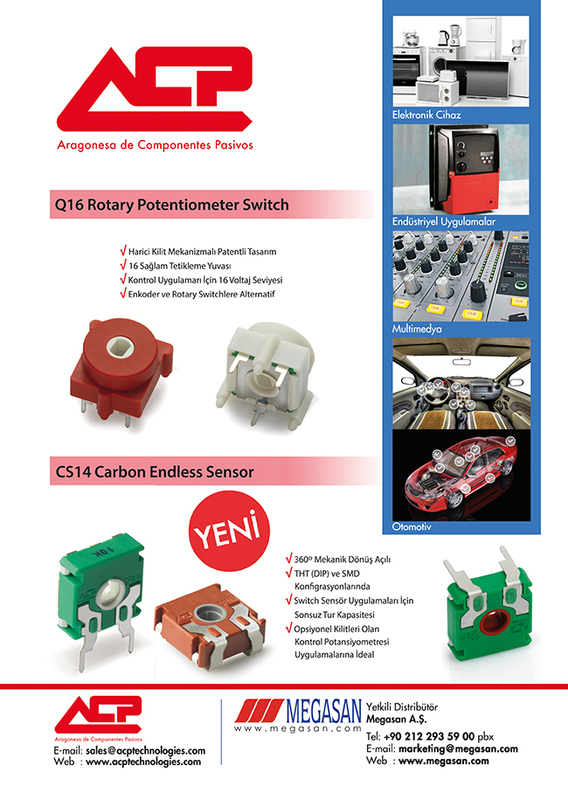 Our Turkish distributor MEGASAN recently published this advert at the renowned magazine, Elektrik Dunyasi (see page 85), promoting most recent ACP products (Q16 and CS14). ACP goal has always been to get closer to our customers' needs, for this reason, we develop products according to the market requirements. 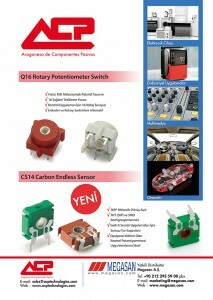 CS14 is a 14mm rotary position sensor with 360º mechanical rotation angle and Q16 is a particular application of the CS14 product family, when robust and precise detents are required.